Thinking about those days, I made some for breakfast this morning. With some leftover chorizo, lettuce, and Jack cheese, that memory turned into breakfast. Trying to imagine what they would have been if I had leftover fried chicken??? Watch my answer to Traci Toguchi's "Question of the Day"
I love going to resorts and spending lazy days lounging around. When the sun goes down, it's time for some good food and Maui is one of those places. Japengo isn't the typical hotel restaurant that serves seafood because that's what guests want on an island. 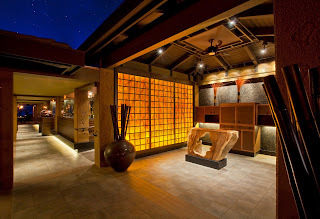 They use Hawaii's locally grown products to showcase the many modern Asian-inspired dishes with a Hawaiian flair. Be prepared for a unique Pacific Rim dining experience. As you enter Japengo, you're taken to a place that seems like a far away modern Japanese village. But the stunning sunsets and warm Hawaiian hospitality reminds you that you're on Maui. Lahaina is a special place for me, that's where my family is from. For me, going to Maui is like going home. I had heard about Star Noodle from my Hawaii foodie friends and when @DaniaEdibleHI suggested that we go during my visit, I knew it was a good choice. The restaurant is located in an industrial area, so I knew it would be good food. Think about it, it's not about a Front Street location, it's in an out of the way place and people are talking about it. Today is my last full day in Hawaii and I still have a lot to do. Started out the day in Wailuku and stopped off for some chow fun, since today (Thursday) is National Noodle Day. It has that homemade taste that reminded me of growing up and the flavor from Hawaii. Had one quick meeting and then I was done for the day. So, I treated myself to a Tasaka Guri Guri at the Maui Mall. Heading back to Lahaina and to Star Noodle to celebrate National Noodle Day... Lunch Time! It was a nice sunny day in Maui today. I met up with @grapevinehawaii (Bonnie Friedman) for lunch at Da Kitchen in Kahului. It's one of my favorite stops after leaving the Kahului airport. Bonnie is a wealth of food knowledge and I enjoyed our FOOD conversation. 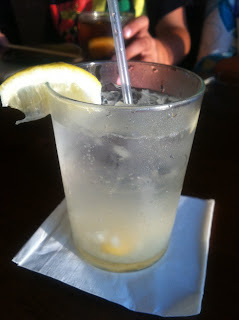 Checkout her Maui food tours at "Tour Da Food" and something I'm doing on my next visit to Maui. Thanks Bonnie! While I was in line at Tasaka, I was alerted on my iPhone that Steve Jobs had passed away.